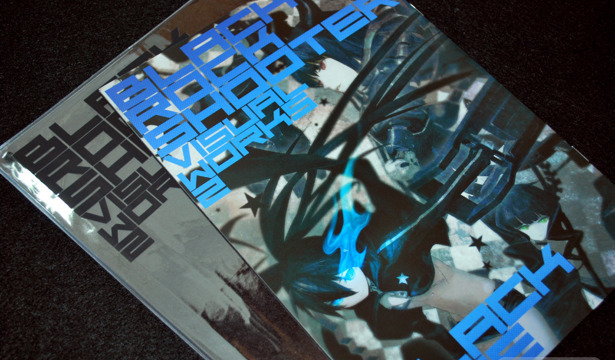 HUKE's latest release PIC7 brings us a mix of his newest Black Rock Shooter illustrations alongside fan art and robots in a spectacular B4-sized book format. 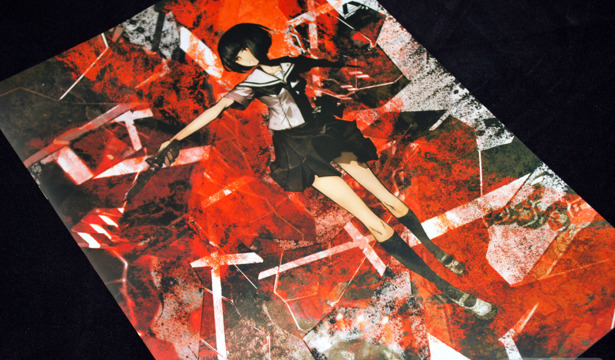 This cinema-like display for a book is new territory for HUKE, but his art work stands up to the size increase, with detailed works and elaborate textures on every illustration. 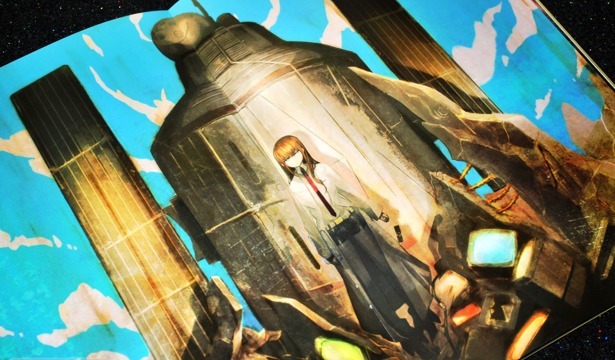 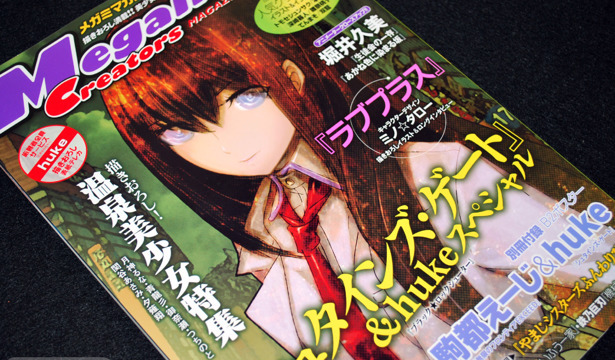 HUKE's self-publications continue to impress, with the newest addition being his Comiket 78 release STEINS GATE VISUAL WORKS. 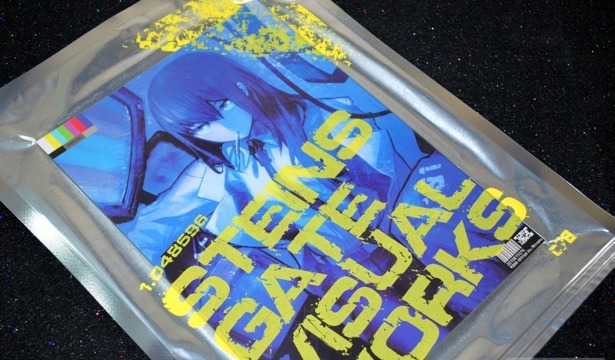 Though it's sad to say, this collection includes more full-fledge illustrations than the commercial counterpart Steins; Gate Official Material Book. 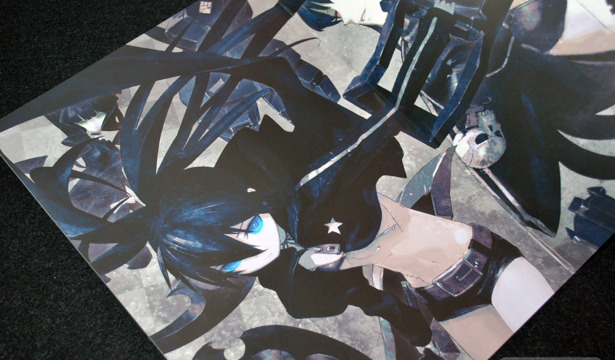 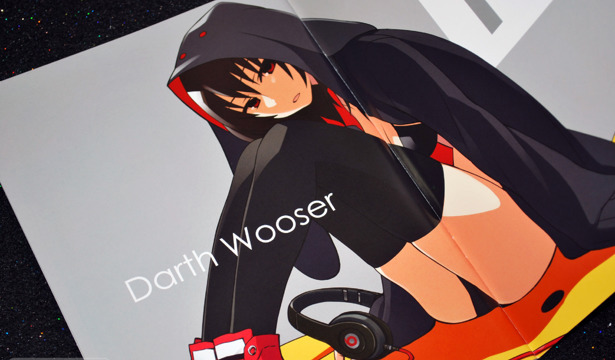 Huke's Comiket 77 release was Black Rock Shooter Visual Works 2, and similar to the first volume, its content consists of the characters that make up the BRS world. 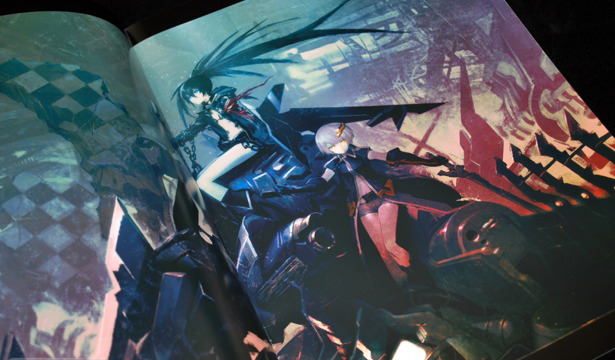 There is a great focus on the villains in this volume, and impressively, none of the Black Rock Shooter illustrations that appeared in Huke's PICSIX are in this book, so there is no overlap.